Satoyama can be described as a place where people and nature harmoniously exist, where biodiversity flourishes, and where the human spirit and creativity thrives. Derived from the Japanese words for mountain (“yama”) and village (“sato”), satoyama landscapes are formed and maintained by prolonged interaction between humans and ecosystems. Over time, these patchwork land-use systems often result in rice paddies and/or other fields, regularly logged woodlands for firewood and charcoal production, and grasslands harvested for animal feed, fertilizers and thatch. Satoumi is the marine and coastal landscape corollary. Satoyama Spirit is investigating the worldview of interconnectedness/embeddedness with nature that informed and sustained traditional satoyama/satoumi culture. By illuminating and making conscious the satoyama culture’s philosophical and spiritual underpinnings my objective is to advocate for the recognition of these qualitative aspects of human relationship to nature as being foundational success factors for any attempts to preserve and revitalize these so-called socio-ecological production landscapes. Currently, the Japanese government’s Satoyama Initiative is in its formative stages and is ripe for the inclusion of this perspective. In the West, Japan has long had the perception of being good at taking an existing idea and improving upon it, but as we move further into the 21st century Japan may become properly recognized for a much greater role, that of a true innovator and leader in the field of environmental sustainability and stewardship. Indeed, as Japan de-populates in the coming years they have a very good chance to grow in a different dimension – to become the world’s first fully-developed nation to transition into being sustainable, relocalized, and increasingly self-sufficient. Sound idyllic? Impossible? It was only a few lifetimes ago that Japan was just that…sustainable, local and self-sufficient, during the Edo period. Things weren’t utopian, to be sure. But this isn’t about romance. It is about thriving. And if humans are to do just that in the coming decades and beyond, it is time we retire our constrained perspectives and entertain what may appear to be radical new ideas, ideas that turn out, in many ways, to be as old as human-kind. Ideas like our fundamental oneness with nature, and living within natural limits in a finite world, and having respect for others beyond our spheres of personal identity, and taking responsibility for our thoughts and actions in the present, knowing that what we do to others and nature we do to ourselves. For centuries, if not millennia, Japanese culture has evolved in harmony with the island environment that served as its physical boundary. These natural limits helped instill a respect for the environment that is reflected in traditional ways of living within the natural landscape, embedded as it were, within the varied geographies of mountain, field, forest, river and coast. 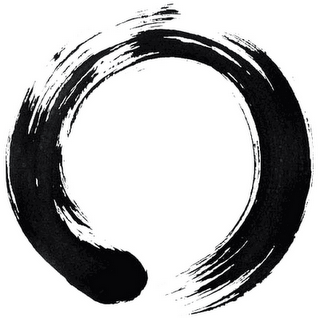 While Japan gained a great deal from opening to the West 150 years ago, they also began a process of losing this connection to their environment, and to the concept of limits, and the meaning and integrity and spiritual fulfillment that comes with recognizing a deep interconnectedness and interdependence with nature. But these intrinsic connections are not lost, they’ve only recently been pushed under the surface, a memory still close at hand for this ancient culture. And that recent memory is what makes Japan have such leadership potential now and in the coming years. As the only first-world nation that has maintained such a close, spiritual connection with nature, and 67% of their land still covered in forests, and a recent history of widespread farming, and a growing interest in becoming more self-sufficient, Japan has the potential to once-again re-invent itself…first the Meiji Revolution opened the country to the outside, then the post-WWII industrial explosion brought them to the top of the world stage, and now what might be called a Satoyama Resurgence will show the world how to transition into having a resilient, harmonious relationship with the natural environment. The Japanese government’s new Satoyama Initiative demonstrates the seeds of this new revolution, but as necessary as it is to establish the scientific, ecological and economic basis for preserving these socio-ecological landscapes, success ultimately depends upon the Japanese people’s remembrance and revitalization of their culture’s ancient spiritual connection to the land and sea. Without this paradigm shift (or return) in worldviews, Japan, and indeed the world, will miss a golden opportunity. As we approach the end-game of our current worldview based upon self-interest, compulsive independence, empty material acquisition and mistaken beliefs in our separation from nature, we are being pushed and pulled to make a transition to a new way of being in the world. The industrial paradigm has given us tremendous gifts, including global communication and perspective, but ironically at the cost of global health and sustainability. Now it is time to close the circle and return to a sustainable way of life, and the Japanese satoyama culture surely has much to offer as we make our way forward. Thank-you so much for this blog post! It’s very informative and bridges my interests in sustainability and Japanese culture.